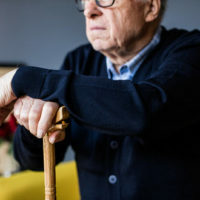 Here are some truly shocking statistics – more than 40 percent of nursing home residents have reported being abused and more than 90 percent report being neglected by nursing home staff, according to one source. If that was not bad enough, roughly half of all nursing home attendants have admitted to abusing or neglecting their elderly patients. This type of treatment is unacceptable and you need to speak to an experienced nursing home abuse attorney in Florida to determine your legal options. What Exactly Constitutes Nursing Home Abuse? Nursing home abuse is not limited to physical harm. It can include emotional abuse, sexual abuse, and gross neglect of basic care. Many nursing homes are understaffed or hire employees with little or no experience caring for the elderly. This creates an environment ripe for abuse. If you notice these symptoms, contact local authorities right away. Next, contact a Florida nursing home abuse lawyer. Once you speak to a lawyer and a decision is made to take legal action, the burden of proving the abuse or negligence will be on the injured party (i.e. your elderly loved one). But, in reality, when you have an experienced nursing home negligence attorney on your side, they will come up with an action plan and investigate the situation. A neglect or abuse case often involves a law enforcement investigation and may also involve the state government. In Florida, the Agency for Health Care Administration will need to get involved and investigate. Your lawyer can assist you in gathering the necessary evidence including your elderly loved one’s medical records. Collecting your loved one’s records is critical so a lawyer can see if there are missing notations, falsified charts and late entries. Your lawyer can also interview potential witnesses and, once a lawsuit is filed, depose members of the nursing home staff. If you suspect that an elderly relative has been subjected to mistreatment, abuse or neglect at a nursing home, Gillette Law, P.A. in Jacksonville is here to help. We can examine the specifics of your case and help you recover the compensation that your loved one truly deserves.